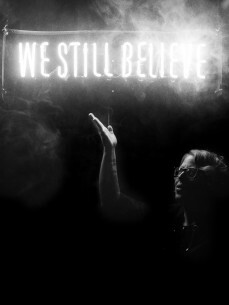 The Black Madonna’s catalog of releases/remixes includes labels such as Argot, Stripped & Chewed, Classic, Freerange and Home Taping is Killing Music. Crosstalk International described her “Lady Of Sorrows EP” on Argot, as “her most fully realized work to date—A great leap forward from the sample-clad disco house of her records for Home Taping Is Killing Music and Stripped & Chewed. Weaving live orchestration and irresistible synth lines through tough percussive frames, both tracks bare their souls to listeners with enough muscle to command dancers’ attention.” In 2014, she followed up the Argot release with two back to back EP’s. Both sold out immediately and remain highly sought after on the vinyl market.